Rose Edmunds lives in Brighton with her husband David. She gained a degree in mathematics at the University of Sussex and a PhD from Cardiff University, before qualifying as a chartered accountant and embarking on a successful career advising entrepreneurial businesses together with their owners. In 2007, after more than 20 years working for leading accountancy firms, she jumped off the corporate hamster wheel and now writes financial thrillers with a strong ethical theme. Her writing draws heavily on her considerable insight into the business world and in particular the uncomfortable conflict between individual and corporate objectives. 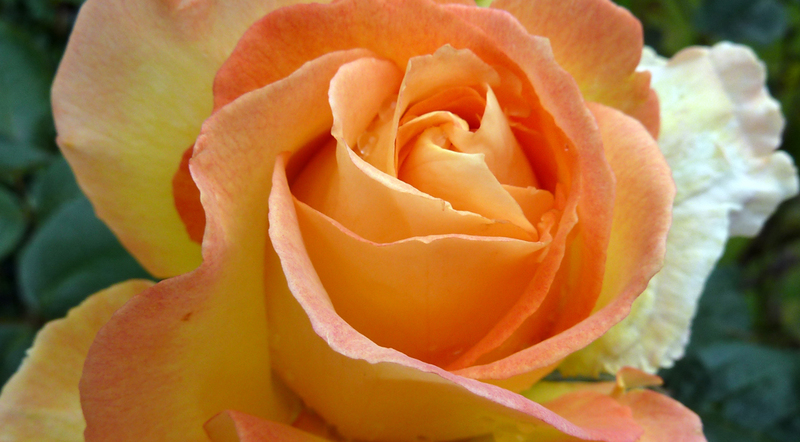 Rose is also a trustee of Brightside, a charity helping young people to access career and education opportunities they might not have believed were available to them. Amy is at the top of her game as a finance professional despite a traumatic childhood. But the higher she climbs, the greater her fear of falling. Her new boss Ed sniffs out insecurity like a shark smelling blood. He’s trashed dozens of careers on a whim and has Amy lined up as his next victim. When a young colleague is murdered, Amy’s fragile equilibrium is shattered. A client’s fraud may be linked to the killing, but no one seems to care. Caught in a tangle of business and personal connections, and fighting for her sanity, can Amy find the moral courage to uncover the truth? After bartending his way around Spain and the West End of London, Robert Leigh returned to his home city of Liverpool and began writing. Leigh’s works include The Retribution Trilogy (third book currently in production) and From Lime Street to Yirgacheffe (a true story, of sorts…). Before Shaun, there was Joe. DI Edwards was called to the scene of a shooting. Four of the deceased were well known to him. The fifth man remained a mystery. His name was Joe, a misfit shelf stacker living on the Forest Estate. As the investigation continues, DI Edwards finds himself being drawn deeper into Joe’s world of vigilante revenge. But will the truth of Joe’s actions ever fully be revealed? Final congratulations to all the Mystery thriller nominees. 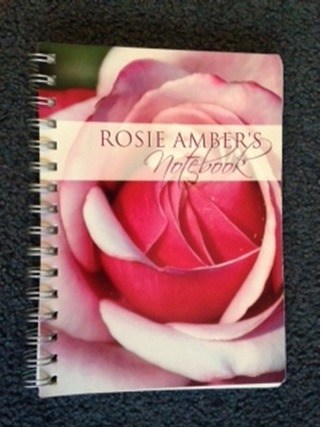 Welcome to the Official Awards Ceremony of the 2015 Rosie Amber #RBRT Book Awards. We had almost one thousand votes. A Huge thank you to all the nominees and their supporters. 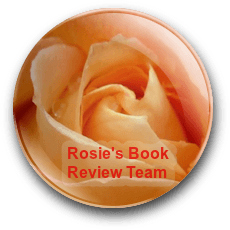 I will be posting feature posts on the Winners and Runners-Up authors over the next few days. The Forest Estate is a rough area, overrun by drug dealers and users, leaving most of the law-abiding residents wary and afraid. Joe lives in one of the maisonettes on the estate, keeping mostly to himself and working at a local supermarket. Another resident, Mrs Winters, has known Joe since he was a boy and Joe looks out for her, helping where he can. Joe is quiet and unassuming until someone he cares for very much is killed and the police do little to nothing about it. The story opens with Joe, on a living room floor, dying from a gunshot wound, surrounded by four slaughtered local gangland members. As DI Edwards and the forensics team enter the room, there’s no clue as to what provoked the carnage and no obvious suspect. However, bloody footprints show someone has left the scene. Just my thoughts in the darkness. I couldn’t move. I wasn’t even sure I had a body anymore. I thought, is this what death is? Just thoughts in the darkness. The dual narrative, from the perspectives of Joe and DI Edwards, works brilliantly. The story unfolds continuously throughout with the narrative moving back and forth between the hospital, the police station, the mental facility and Joe’s flashbacks to life on the estate and the events that lead up to the shooting. Joe’s resentment and rage at the injustice and lack of police involvement on the troubled estate is keenly felt and I admit I empathized with him…up to a point. And even then I still liked him and could feel Joe’s frustration. He did what he did for what he considered the right reasons. No-one who was in a position to, was doing anything about the situation. I’m not condoning violence by any means but on the other hand I couldn’t feel any sorrow for the drug dealers who make life, and the estate itself, wretched and dismal, while all the time feeding off the misery. It’s very clever of the author to make the line between perpetrator and victim become less clear. It seems to me that Joe is both. Robert Leigh draws attention to the shocking depth of corruption and manipulation in the police force and, slightly less so, the medical profession. Carol Huxley is an unappealing character who is using Joe to further her own ends. 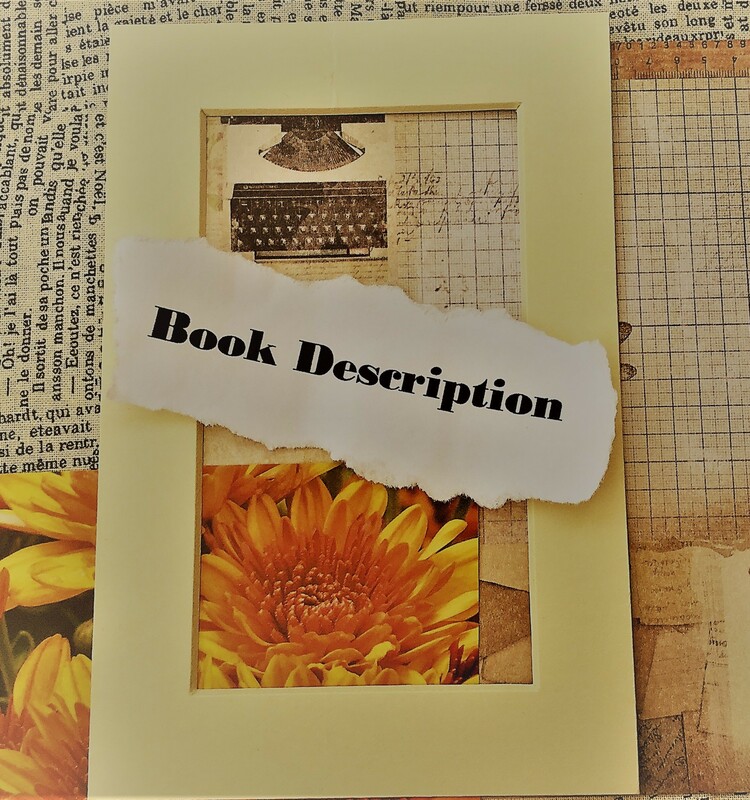 The descriptions and characterisations are very realistic and the narrative creates vivid imagery. Although I haven’t yet read the first of the trilogy, the books seem to be stand alone reads. I will definitely be reading the others. 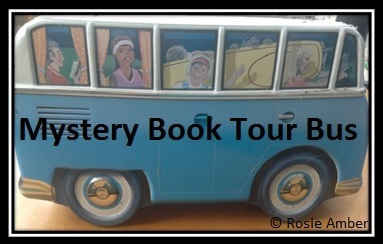 Welcome to Day 7 of the #MysteryNovember book tour. 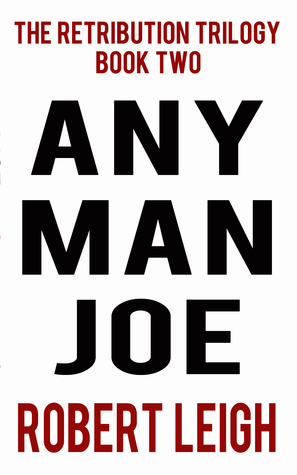 Today our guest is Robert Leigh and his book Any Man Joe. His name was Joe, a misfit shelf stacker living on the crime ravaged Forest Estate. As the investigation continues, DI Edwards finds himself being drawn deeper into Joe’s world of vigilante revenge. But will the truth of Joe’s actions ever fully be revealed? Where is your home town? What do you like about writing in the mystery genre? Well, I didn’t set out with the intension of writing a mystery novel – it became one of those fortunate accidents. I had a draft, which needed a lot of work. I took the storyline to pieces and then rearranged the entire book so it made for a more interesting project. I have experimented with the cut-up style in the past. This was the same, but on a story scale, not just paragraph to paragraph, page to page. What sub-genre of mystery does your book fit? I would say police detective woven with corruption and vigilantism. Where is your book set? Somewhere in the UK. The Forest Estate, where the story takes place, is based on three estates I lived on, or near, whilst growing up in Liverpool. Can you introduce us to the main characters? So, there’s Joe – around thirty, a shelf stacker in Greenways supermarket. Joe hasn’t had the easiest of upbringings, but he’s putting his head down and getting on with life – until his best friend is murdered. This turning point sees a new Joe who wants to avenge his friend, but also make the estate safe for the other people who live there.The pair of them get around, and around and around and…. DI Edwards is the detective investigating what Joe has done, been up to, got involved in… Edwards has to deal with police corruption, mental health practitioners, journalists and his own apathy. 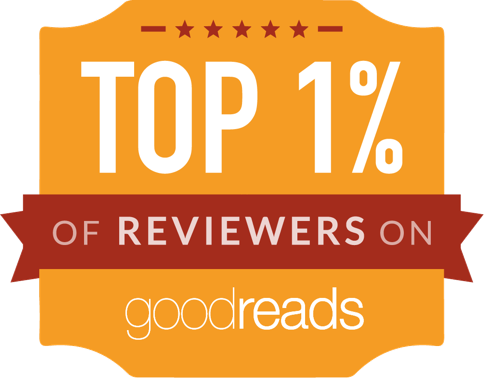 Where can readers find out more about you and your writing? Where can readers find your book? Excellent, excellent – I thoroughly enjoyed this! Joe is a quiet living young man who lives on a rough council estate in London, just minding his own business – until he becomes unwillingly mixed up in the world of the estate’s drug dealers. Pretty soon, he finds himself in handcuffs… that’s all I will say about the plot, or I’ll spoil it. Robert Leigh has done it again, the same as he did in Kill Line – he’s made me like and root for a mass murderer. No, I’m not weird – read it, and you’ll understand! I still feel sad thinking about him. Parts of this book reminded me of that televisual piece of excellence, The Wire – if you liked that, you’ll love this. Of course, this is South London, not Baltimore, but I imagine the drug dealing hierarchy runs much the same. The story is told in alternating points of view, between Joe and DI Edwards, the officer originally in charge of the case. It highlights police corruption and social problems, too – all very real. The book is SO well structured, which is one of the elements that makes it work so well, with the story unravelling gradually, as we move from hospital to police custody to flashbacks back on the estate. The dialogue and the characterisations of the dealers, the junkie who befriends Joe, the blinkered cops, are spot on. The action is cleverly executed, too, making me able to visualise clearly what was happening – this is a hard thing to do, I’ve read so many that don’t work. The suspense is superbly suspenseful (! ), as is the build up of Joe’s frustrated outbursts. A classy writer, this! This is the second novel in Leigh’s Retribution Trilogy – I can’t wait to read the third. My first reaction to this novel was, ‘you have to be kidding me’ then I thought it must be a black comedy. That was how I got past the vividly described first murder of many. “Kill Line’ is aptly named. Inbound call centre representative Shaun has his own unique way of dealing with difficult customers. They have to pass a series of tests before they get nominated for the dubious honour of receiving a personal call from Shaun. The process dehumanises the victim. This is where things get tricky because I ended up wondering whom the victim was….the caller or Shaun. He was likable and the abusive callers sounded thoroughly unlikable. This is the reason it becomes possible to accept what Shaun does. This is black comedy at its most compelling. I found myself pausing every so often to ask why I kept reading Shaun’s gruesome tale. I realised the reason was that I found Shaun a fascinatingly complex character and in some ways, I empathised with him. What is really funny is, he has a checklist of things ‘customers’ say when they call in and if the abusive caller misses one of the steps then that person is saved from a very unpleasant end. I found his list very believable. I would hate to be a call centre operator because while I’m sure there are some very pleasant callers out there these would be outweighed by unpleasant ones, I’m sure. I have only to think about being a call centre representative for Inland Revenue (Tax) department and I have no difficulty imagining how a person might feel at the end of a shift. Shaun manages his double life remarkably well even when a former girlfriend re-enters his life. How does she not guess he is a psychopath? And there are some amazing mental and physical contortions Shaun goes through to keep his secret from everyone. I will leave the reader to find out how his long-time friend, Matt fares. His barbecue was just amazing. So glad I did not get an invite. The thing is the author creates believable scenarios for believable circumstances and that takes real writing skill. If you do not have the stomach for gory detail then this novel comes with a warning. 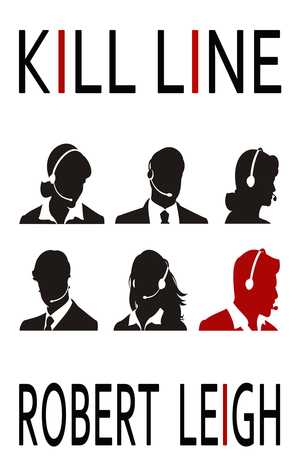 Kill Line is a dark comedy that offers a perfect snapshot of modern life. Robert Leigh skilfully taps into the simmering rage that, for most of us, never seems too far away and embodies it in his likeable and, on the surface oh so reasonable, protagonist. Due to being made redundant, Shaun is a put upon call centre operative who is forced to endure all of the abuse and boredom that goes along with the job. Despite his efficiency, Sean is often subjected to the rage of the callers who, in the safety of their own home and protected by the distance of the phone line, insult and denigrate him. Whilst visiting one such caller in the hope of getting him to see the error of his ways, Shaun accidentally kills him and thus a side career in murder is born. All of Shaun’s intelligence and energy, which is wasted in the call centre, becomes focussed on planning the murders. Consequently, it’s through his side project that Shaun finds fulfilment and a sense of accomplishment. In fact, Shaun’s particular skill set means that he takes to serial killing like a duck to water. He is precise, well read and thorough in his research. All of the characters that get to know Sean comment on his intelligence and the fact that he’s wasted in a call centre. Despite the fact that he’s a cold blooded killer, Shaun is a very engaging character with whom it’s easy for the reader to identify. 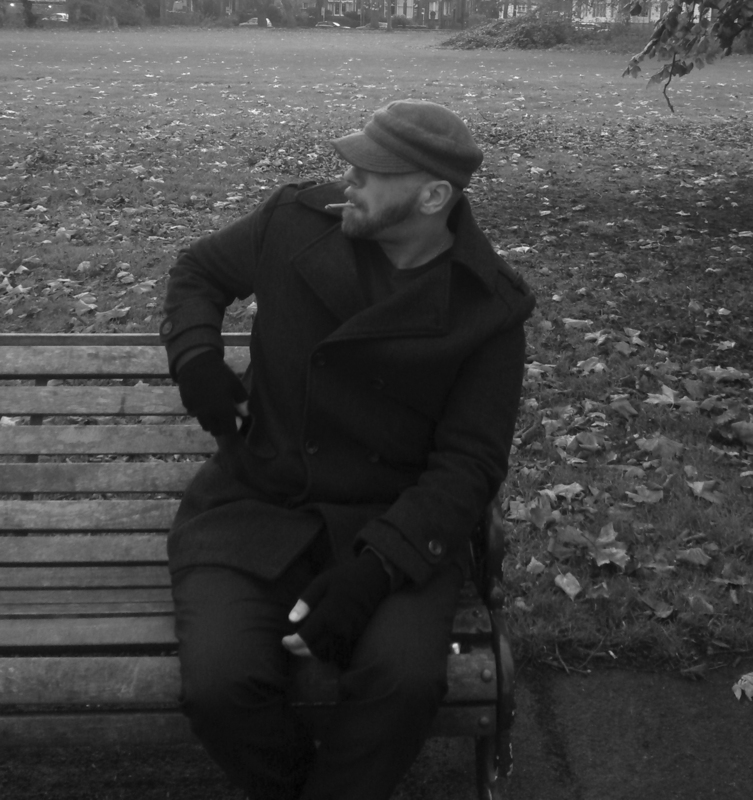 Leigh employs the use of first person narrative and his conversational style means we soon feel as if we know Shaun. In fact, in the beginning there are two Shauns, the Shaun who makes the decision to kill and his horrified conscience. Leigh cleverly shows how the disparity between the two lessens as the novel goes on, however, and by the end the two are of the same mind. Shaun is a complex, interesting character who has been forced to live a life not of his choosing. Due to the economic recession, he has few employment options and he lives alone in his childhood home. He is still reeling from the death of his parents and, in his low moments, is haunted by their suffering. He hasn’t changed anything in the house, except to add a large “American fridge”, that is at odds with the rest of the house. The fridge is no doubt a metaphor for Shaun’s desire to escape from the limited world he’s forced to inhabit. What I really like about this book is the way it highlights the shabbiness of modern Britain. Shaun lives in Holtenthorpe which could represent any industrial town or city, defined by the misery of poverty and unemployment once the industry has collapsed. Where once factories might have stood, there are industrial estates with the new versions of factories – call centres. Leigh’s depiction of life inside a call centre is vivid and authentic and anyone who works in a target driven occupation, complete with robot style managers and meaningless business acronyms will identify with Shaun and his co-workers. The grey monotony of life in the call centre is almost unbearable. Leigh’s novel is an indictment of the kind of politics that view people as a commodity. Labour Right is a government funded agency that forces unemployed people into jobs that aren’t worth having. The complete lack of humanity within these companies, that we all know exist in cities the length and breadth of the UK, see characters such as Marie, a fifty something woman made redundant after twenty three years working in a bank, tossed carelessly aside in favour of the more malleable twenty somethings. Anyone who complains about the working conditions find themselves ‘moved on’. Although Leigh’s story is told in a way that is both thought provoking and humorous, make no mistake, it is also brutally violent. As Shaun embarks on his killing spree, all of the emasculation he has been made to feel, finds release in pure, unadulterated rage. Leigh’s talent lies in the way he allows us to identify with Shaun in such a way that we feel nothing for his victims. Shaun has devised a set of rules which he uses to decide whether an abusive caller deserves to die or not and, as we become caught up in his world, his reasoning seems quite fair. However, things change when Shaun kills someone who hasn’t broken the rules. We find ourselves pulling away from him and then when he meets suicidal Hazel Downs, we see him for the psychopath that he actually is. By the end, we have no idea what will become of him as he has passed a point of no return. 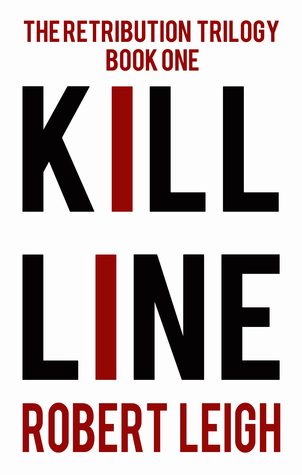 Kill Line is the perfect combination of playful and deadly serious. It’s probably not a story for anyone easily offended but, if you like a dark, clever and laugh out loud read, then you’ll love it. I know I did! Here’s a fact about coffee. Starbucks sells 3,861,778,846 cups per year. Consider all the other companies that sell coffee and that is an extraordinary amount of coffee circulating in the world economy. Here are a couple more statistics. Finland tops the coffee consumption chart at 9.6 kg per capita per year and Americans average almost one cup a day, slightly less than New Zealand. So if you, like me, drink coffee and have never given much thought to the journey it has made from plantation to your cup this is the book for you and shame on you (and me) for taking such an important commodity for granted. Robert Leigh, author of From Lime Street to Yigacheffe is subtitled, ‘a true story of sorts’. It was definitely more an account of a trip to Ethiopia to follow the coffee trail than fiction so I would say it is a true story rather than one ‘of sorts’. It read more like a travelogue with commentary about the social story behind coffee’s journey from plantation to cup. He may have qualified his story in order to duck around some of his social and political commentary. There was not much political comment but there was a considerable amount about social conditions in Ethiopia. I thoroughly enjoyed the journey with Robert and his host through Ethiopia to the coffee plantations and processing factories. What really amazed me was the amount of work done by hand, not mechanised. He is somewhat dismayed by the young people working long days at this gruelling, mind numbing, processing work. At some point in the process, each seed is graded by hand. Yes, Robert very early in his account points out that what we call beans are in fact ‘seeds’. One of the things about this book that I thoroughly enjoyed were the descriptions of the Ethiopian landscape, the people’s social life and even that they operate to a calendar with 13 months in the year. It was a journey into a way of life where rich and poor sit side by side. Our daily cups of coffee make many people wealthy. However, if we go to the source there is a lot we could do to improve the lot of the grower who feeds our addiction. This is a thoroughly enjoyable insight into the life of the coffee seed. 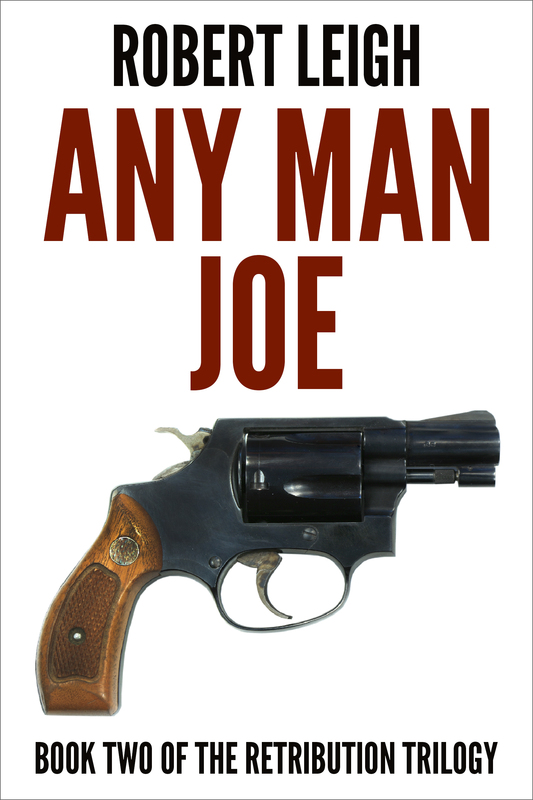 I liked this book a lot, so much that I’ve already downloaded Robert Leigh’s latest one, Any Man Joe. The strength of this book is the sharp observation by which the characters have been created, from Shaun’s boozy mates, to the chav ex-girlfriend, to the begging victims Barry Johnson and the revoltingly pompous Derek Page-Dove (great name! ), and, best of all – the ghastly, dreadful supervisors and management at Skymiles and Calltex call centre. Well done, Robert Leigh – the section in the middle about the changeover from Skymiles to Elevation, with all its corporate BS, is a masterpiece – it’s obvious the author has worked in one of those places, and the production of this novel must have made every soul destroying moment worth it. The dialogue is spot on, with every awful buzzword and phrase these people use; yes, and don’t they always refer to their staff, etc, as ‘you guys’??! Ugh! This is not a novel for the squeamish; the violence is graphic, and you’ll want to weep for the victims. But it’s kind of funny. If you can believe that. Not laugh out loud funny, but witty and clever. I wavered between 4 and 5 stars all the way through it, eventually deciding on 5*. I think it needs some tidying up, I thought the Harry Collins part was too much, and I was a tiny bit disappointed by the ending, but these are very minor complaints (in fact, not even complaints), are only my opinion, and the good bits are so very good that I couldn’t have given it less.